Pevonia Botanica is proud to announce the news that we have been awarded Phyto Line of the Year for the “Stem Cells Phyto-Elite” Line at the most recent prestigious Asia Spa Awards. Pevonia Botanica beat seven other finalists in the shortlist including Biossentials and John Masters Organics to win the award presented by Asia Spa magazine, Asia’s most recognised spa and wellness publication. Pevonia was also finalist in two other categories including, ‘Anti-Ageing Product Line of the Year’ and Men’s Product Line of the Year. Celebrating the best in innovation, quality and service within the spa industry, a total of 24 categories were voted by 21 independent judges. Other categories included the best spas, resorts and treatments that set the benchmarks in Asia. Hosted in Woobar at W Hong Kong, this year’s Asia Spa Awards was attended by over 400 industry professionals. For close to three decades Pevonia has believed the most powerful ingredients in skincare comes from the safest source – nature. 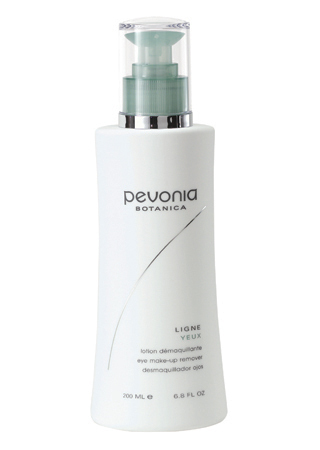 As a global leader Pevonia is proud to deliver multi-award winning, natural skincare solutions clinically proven to restore, rejuvenate and revitalise all skin types. Great news! Pevonia was recently featured in lifestyle magazine, Ocean Road! The Stem Cells Phyto Elite range was prominently featured with half page spread. Excellent coverage and awareness for the brand and products to the hundreds of thousands of readers! Great news! Pevonia was featured in monthly health and lifestyle magazine, GOOD HEALTH. For the “You little green beauty” feature on green-infused beauty buys, the Pevonia Eye Makeup Remover was featured with great editorial mention. Excellent awareness for the brand and product to the hundreds of thousands of readers. Great news! Pevonia is currently featured in the September issue of monthly, health and lifestyle magazine, WOMEN’S HEALTH & FITNESS. The Pevonia Smooth & Tone Body Svelt Gel was featured with product shot and fantastic editorial mention in the ”Cellulite” section of the Cringe Benefit article on the best products to counteract specific body concerns. Excellent awareness for the brand and product to the hundreds of thousands of readers. WOMEN’S HEALTH & FITNESS magazine is Australia’s original and much loved women’s health title in Australia and has a readership of 199,000.